Description: Customize this hunting new job flowchart template to suit your own needs. 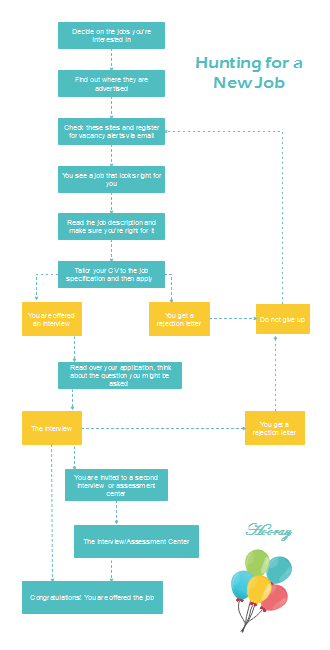 Follow the flowchart to take steps to hunt your new job. You will find that you know what to do and hunting a new job is much easier than before.